The sons of the sons of sons of the Chicago sound are expanding an ever mushrooming jazz scene. Please thank whatever god(s) to whom you voice your appreciation for these gifts of new music. 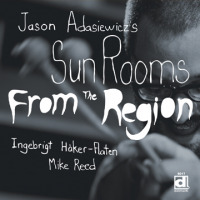 Vibraphonist Jason Adasiewicz has been heard in numerous projects including Guillermo Gregorio Trio, Rob Mazurek's Exploding Star Orchestra, and bands led by Nicole Mitchell, Ken Vandermark and Fred Lonberg-Holm. He has also backed rock groups Pinetop Seven, Central Falls, and Calexico. Lately he has fallen in with a group of working partners that include Harris Eisenstadt, Mike Reed, and band mates from his group Rolldown: cornetist Josh Berman, reedman Aram Shelton, bassist Jason Roebke, and drummer Frank Rosaly. This quintet can be described as the 21st century's version of 1960s new thing or what would Ornette do with an Eric Dolphy and a vibraphone. The quintet's very accessible and attractive sound opens with "Good Looking Android," a sort of marching track (with Bill Murray from the 1981 movie Stripes leading the troops) that wanders into the late altoist Jackie McLean's backyard. 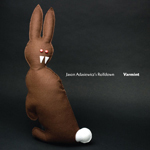 Adasiewicz's composition keeps openness as central theme, but a seemingly invisible hand guides the affair. Likewise "Gather," a more somber, chamber-like composition, wanders an introspective route exercising a reflective quality on a teetering balance of free and composed music. Berman and Shelton's interplay is also a highlight of the session. 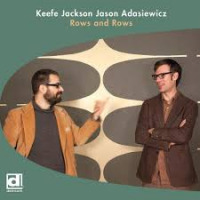 They combine as counterpoint to the vibraphone and rhythm section on the Monk-like "Little Screw," and force the point of Adasiewicz's thought on the go-slow "Creep." The attractiveness of this music is, perhaps, Adasiewicz boldly placing Rosaly and Roebke so far forward in the mix. Acting more than time and rhythm keepers, they prod the frontline players constantly. 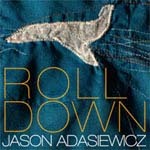 This total commitment to a group sound makes Rolldown a special band and album, and Adasiewicz a revelation as a new jazz composer. Track Listing: Audio: Good Looking Android; Small Potatoes; Valerie; Creep; Nearby; Little Screw; Gather. Video: Hide. Personnel: Jason Adasiewicz: vibraphone; Josh Berman: cornet; Aram Shelton: alto saxophone, clarinet; Jason Roebke: bass; Frank Rosaly: drums.